The infamous 'deer park' (direct translation) where Louis XV kept his little mistresses. The name is unfortuate, because it conjures up a wood or a forest, perhaps with a large house at the center, spilling over with nubile nymphs running around, pursued by a satyr (Louis XV). The reality was much more prosaic: the Parc aux Cerfs was originally a forest, but by Louis XV's time had become part of the town of Versailles (which had basically appeared from nothing at the same time as the palace was built). It's the current day Quartier St. Louis, just steps from the palace by a side gate by the Orangerie. There are a couple of contenders for possible sites of the houses (that we know of to date), on the Rue d'Anjou, the Rue St. Mederic and the Rue St. Louis. There was probably never more than one or two houses at a time, each housing perhaps one to three girls, though of course contemporary and later historians exaggerated both the number of houses and the number of girls. Below are a few of the possible houses that are contenders for where Morphise might have lived. 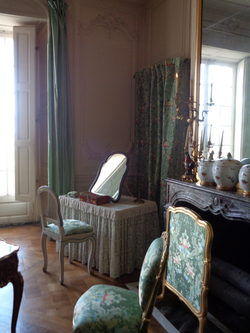 ​You can see some pictures of Pompadour's initial apartment here - she inherited Marie Anne de Mailly Nesle's apartment. A few additional pictures below, highlighting the upholstery, in one of the original designs that Pompadour was known to have favored. Later, Pompadour moved into the main floor apartments which had been in the Toulouse / Penthièvre family. The ground floor was traditionally the reserved for only the highest members of the aristocracy (the Comte de Toulouse was a prince of the blood) and it was a huge coup to move there. 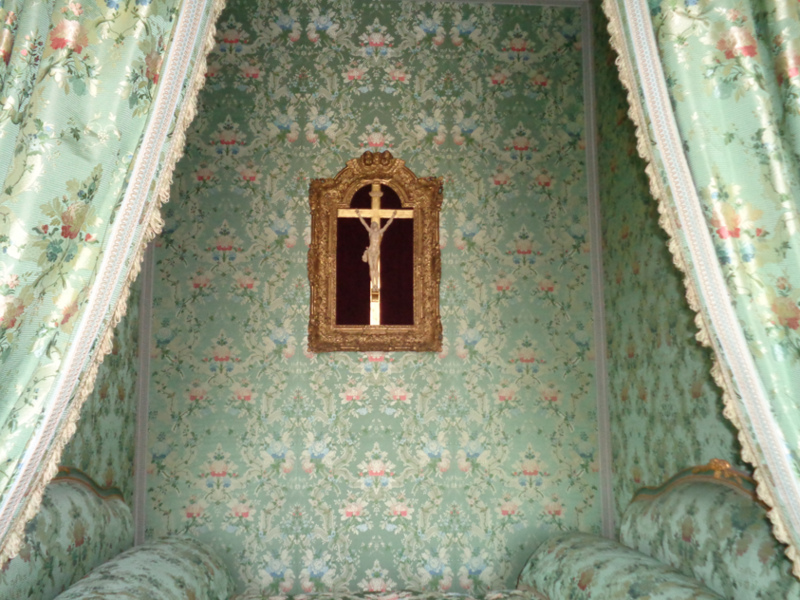 After her death, her apartments were taken over by Mesdames, Louis XV's surviving daughters (one of whom, Madame Adelaide, is a protagonist of The Enemies of Versailles). 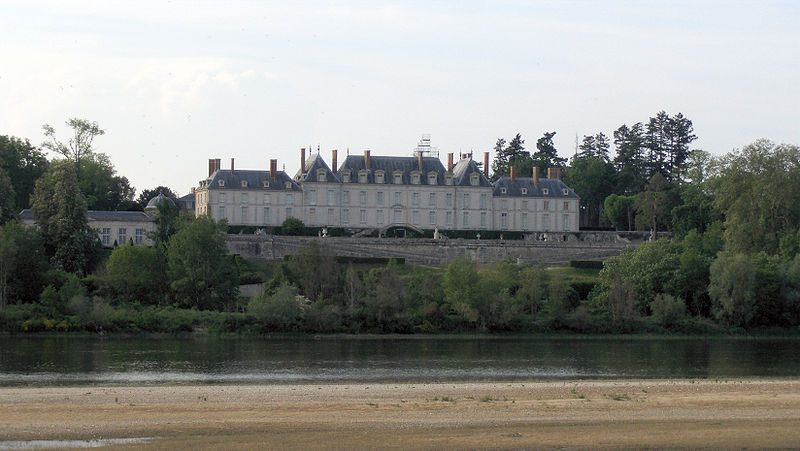 Pompadour also had an enormous house in the town of Versailles, just by the palace on the Rue de Reservoirs. Today it is private apartments, but you can still see the original stables and outbuildings in the courtyard. Today it is known as the Elysée Palace and is the official residence of the President of the French Republic. Definitely not open to the public! Sadly, only one of her many houses, always exquisitely furnished and beautifully designed, survives to this day - Menars, purchased later in her life. All the others - Bellevue, Crecy, Celle - are gone.